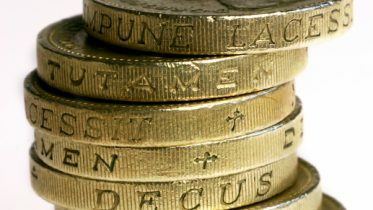 Find out how Gift Aid can increase your donation by 25%. 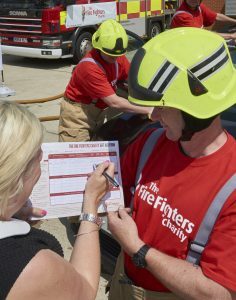 If you are a UK income tax or capital gains tax payer, The Fire Fighters Charity can reclaim the basic rate tax you have paid on your donations from the HMRC. This is at no extra cost to you, and means the Charity will receive an extra 25% from your donation! For example, if you are a tax payer, you donate £10 and you choose to Gift Aid your donation, you must have paid at least £2.50 in income or capital gains tax, in the tax year 6th April – 5th April. For the Charity to be able to claim Gift Aid on any donation, what you pay in income tax or capital gains tax must be at least equal to the amount that all charities or Community Amateur Sports Clubs (CASCs) will reclaim on your gifts for that tax year. If you are making a one off donation online or signing up to become a Regular Donor, you will be prompted during the online sign-up process to tick a box to say you are a UK tax payer and that you wish to Gift Aid your donation. So, if you are a tax payer, and are happy to do so, please tick the box! It’s as simple as that. If you wish to make an offline donation, please complete the downloadable document below, so that the Charity can take advantage of the Gift Aid Scheme. 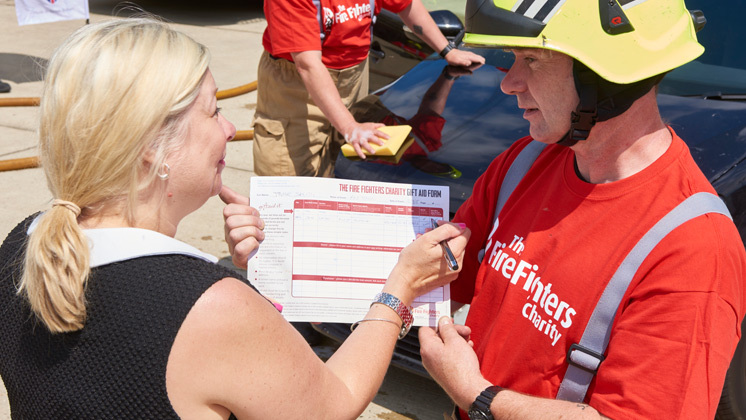 If you are collecting donations or sponsorship – say, from members of the public at a event – you can use the form on the link below and ask them to Gift Aid their donations. Make sure the form is filled out by the individual in their own handwriting. This is used to evidence that the claim is authorised by the person donating. The donor must include their title – Mr, Mrs, Miss, Dr, Sir etc, initial of first name (ideally full first names) and surname. The donor must include a minimum of their house number AND postcode. Preferably their full home address. Don’t forget to ask the donor to tick the Gift Aid box otherwise we will not be able to claim! Make sure the donor ticks the box to state whether they are a UK taxpayer and wish to Gift Aid, or whether they are not a UK taxpayer. If this section is not completed, we will not be able to claim. 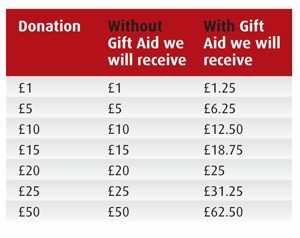 The amount and date of donation or sponsorship must be clearly stated on the Gift Aid form.